Jon Yee focuses on acquisitions analysis, financial modeling and due diligence for IRG. Prior to IRG, Mr. Yee was a Financial Analyst at Intelligent Buildings, a real estate consulting firm based in Charlotte, NC. Previously, Mr. Yee worked in the residential mortgage industry, first as a Loan Consultant at Hollywood Funding Corporation, then as a Loan Analyst at Just Price Solutions, a subsidiary of the Neighborhood Housing Services of America. 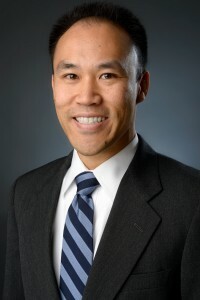 Born and raised in the San Francisco Bay Area, Mr. Yee holds a Bachelor of Arts degree in Economics from UCLA and an MBA with a concentration in Real Estate Development from the University of North Carolina’s Kenan-Flagler Business School. Mr. Yee is a LEED Accredited Professional. During business school, Mr. Yee completed in an internship at CB Richard Ellis with the Food Facilities Group in Beverly Hills, CA, focusing on brokerage of industrial cold storage facilities across the nation. Mr. Yee resides in Los Angeles, CA with his wife and two children.